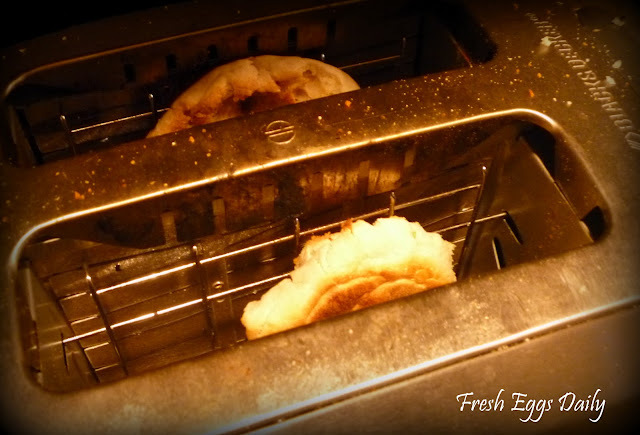 There are probably as many ways to make an egg sandwich as there are people who make them. But in my opinion, there is only one way to make the perfect egg sandwich. Of course you have to start with farm fresh eggs. If you don't have fresh eggs, preferably laid this morning, there's no need to read any further. 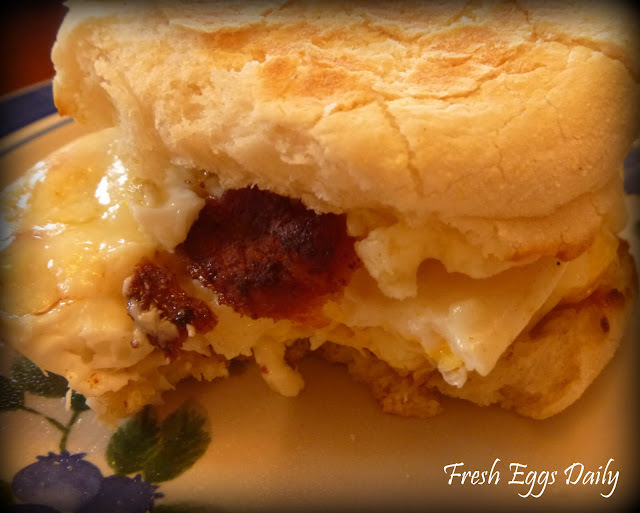 You won't have a perfect egg sandwich without fresh eggs. But okay, say you've got your fresh eggs. Set them aside for now. 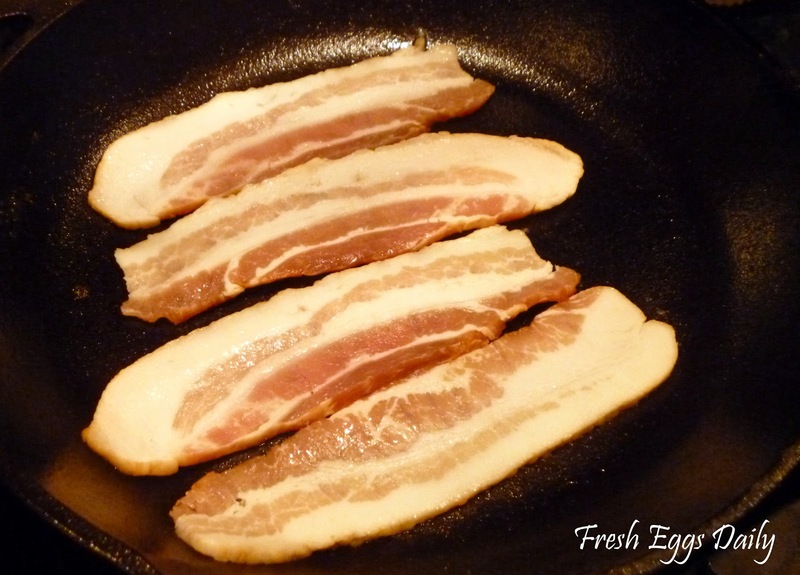 Fry up some thick-sliced bacon (cut each piece in half) in a cast iron pan until it's crispy. Has to be in a cast iron pan to get nice crispy pieces. Remove bacon from pan and set aside. Now fry your fresh eggs in the bacon grease. Swirl the yolks a bit to break them. Season with a bit of kosher salt and fresh-ground pepper. Yes, must be fresh-ground. 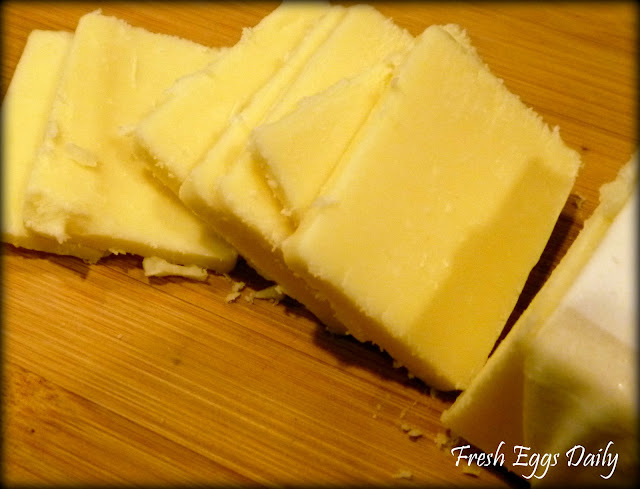 Once you've flipped the eggs, slice up some Vermont white cheddar cheese and lay the slices on top of the eggs to melt a bit and slide a cover on the pan. While you're doing that, lightly toast British muffins from Trader Joe's. Not Thomas' English muffins, Trader Joe's British muffins. When they pop out of the toaster, lightly butter each one with real butter. Not Country Crock, not imitation butter. Assemble the ingredients and enjoy the perfect egg sandwich. The perfect egg sandwich starts with fresh eggs from backyard chickens. Cut each slice of bacon in half, then fry in a cast iron pan over medium heat until it's crispy, flipping to brown both sides. Remove bacon from pan and set aside. Don't drain pan. Crack the eggs into the bacon grease and cook over medium heat. Swirl the yolks a bit to break them. Season to taste. 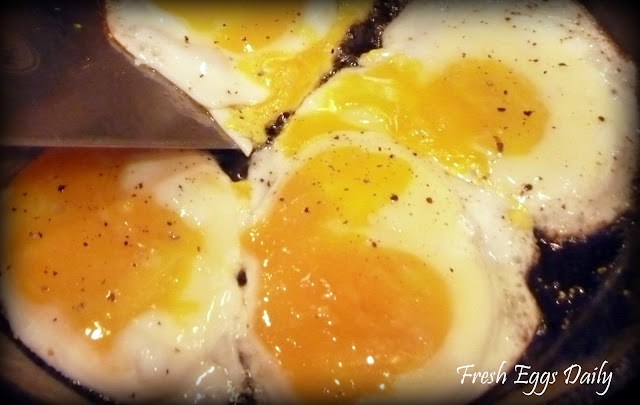 Flip the eggs, season the other side, then lay a slice of cheese on top of each egg and cover the pan. Turn off the heat and let the cheese melt. Lightly toast each muffin and spread each half with butter. Place a cheesy egg on each muffin bottom, then cover with a top. Serve immediately. Breakfast Eye Candy...I'll have to look into Trader Joes...I don't think I've ever heard of them...we are Thomas people...but I'll see if we can find TJ.....That cheese looks awful good and creamy...all this with a hot cuppa...mmmm mmmm good.. Trader Joes are on the west and east coasts, I know that, but not sure where else. Or try the bakery section of your supermarket for homebaked muffins. Not good to read this first thing in the morning on an empty stomach. YUM! Looks delish! Trader Joes will ship some items..not sure if this is one of them, but it's a thought! Thanks for sharing. I am new to having my own chickens and I only get one a day, so far. I thought I was one of the few that loved the Vermont Cheddar. I am looking forward to trying the perfect egg sandwich. Thank you for the recipe. Egg sandwiches always make me think about my dad. He makes the BEST egg sandwiches. It's on plain white bread (un-toasted), with mayo, a fried egg and fresh tomato slices. The bread and tomatoes get warm just from the egg - and the yolk is runny and yummy. 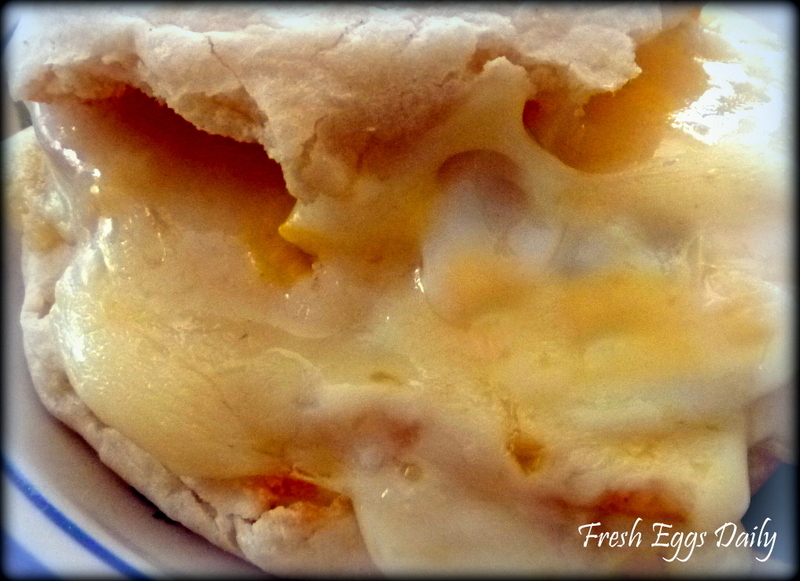 Ok...now I want an egg sandwich! Sounds delicious. Wish I had some farm fresh eggs!